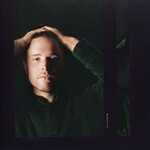 The 4th studio album from James Blake. The album features collaborations with Travis Scott, André 3000, Metro Boomin, Moses Sumney & Rosalía. In the past 2-3 years James has been very busy collaborating with Beyonce, Kendrick Lamar,Travis Scott, Jay Z, Frank Ocean, Oneohtrix Point Never, Mount Kimbie + contributing to the Black Panther soundtrack. James has also released his own music in the last year releasing the incredible cover of Don Mclean's Vincent On Christmas Eve and the Tracks If The Car Beside You Moves Ahead & Don't Miss It, the latter of which features on Assume Form.